Central government-owned Bank of India expects to recover around Rs 2,600 crore ($365.6 million) in the quarter ending March 2019 from the loan accounts facing insolvency proceedings. In order to push further recovery, the bank has also accelerated sale of Rs 11,000-12,000 crore worth of loans to asset reconstruction companies (ARCs). Explaining the acceleration, managing director and chief executive Dinabandhu Mohapatra said that of the Rs 11,000-12,000 crore worth of assets put up on sale to ARCs so far this financial year, majority have been placed on the block in the quarter from October to December. “We have managed to sell about Rs 3,248 crore and recovered around Rs 2,000 crore in the December quarter. We expect to put more assets on the block this quarter (January to March),” he said. Currently, Rs 27,140 crore worth of non-performing assets (NPAs) of Bank of India are under the Insolvency and Bankruptcy Code (IBC) resolution process. Of these, the Reserve Bank of India (RBI) has referred Rs 6,939 crore worth of NPAs of Bank of India to National Company Law Tribunals (NCLTs). “In the quarter ending March, we expect to recover a little more than Rs 1,000 crore through monetisation of non-core assets, and Rs 2,600 crore from NCLT accounts,” said Dinabandhu Mohapatra, managing director and chief executive at Bank of India, without divulging more details on the non-core assets due to pricing issues. Bank of India has already made a recovery of Rs 2,360.8 crore from RBI’s first insolvency list including Rs 561 crore received against its loan exposure to Bhushan Power and Steel Ltd.
With enough investor interest in steel, automotive, chemical and other sectors and expected hastening of the IBC process after the Supreme Court order, the bank chief hopes for better recovery going forward. Mohapatra also expects four to five power sector accounts to be resolved under the Samadhan scheme or Scheme of Asset Management and Debt Change Structure. Under Samadhan, banks are required to assess the sustainable debts of the units of around 34 stressed power accounts having a total debt of Rs 80,000-90,000 crore. “We have recovered around Rs 1,600 crore worth of NPAs under the one-time settlement scheme and hope to make an additional recovery of around Rs 1,100 crore in the March quarter,” Mohapatra added. 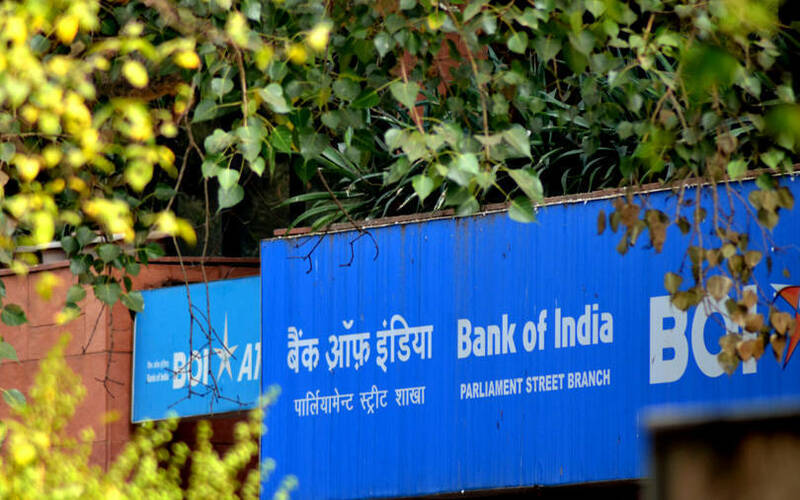 On Monday, public sector lender Bank of India reported one of its highest quarterly losses at Rs 4,738 crore for the third quarter ended December 2018, driven by doubling of provisions at Rs 9,180 crore set aside for its stressed assets, mainly on account of 100% provisions towards the first 40 large accounts referred by the central bank for bankruptcy proceedings under IBC. The bank was also freshly hit due to its exposure to the embattled Infrastructure Leasing and Financial Services. IL&FS has a total debt of over Rs 91,000 crore, of which Rs 57,000 crore is owed to banks. Bank of India’s exposure stands at Rs 3,400 crore. IL&FS has put up several assets on sale including under-construction road projects and renewable energy assets.